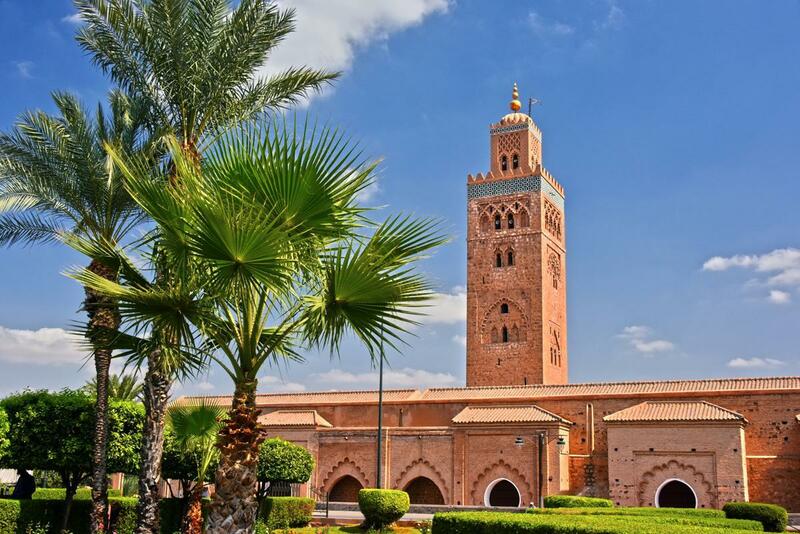 CULTURE If you are on a budget and want to discover Marrakech, you are on the right article. The city has plenty to offer, from its historical monuments to its famous cuisine, your options can vary. 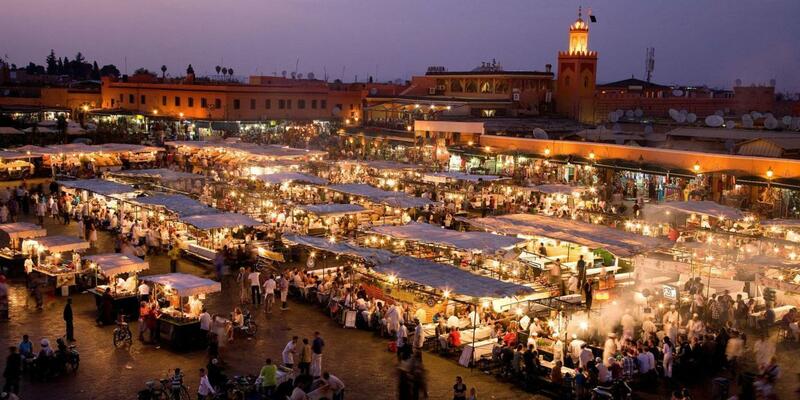 Follow our plans and enjoy Marrakech for 30 Dh or less. 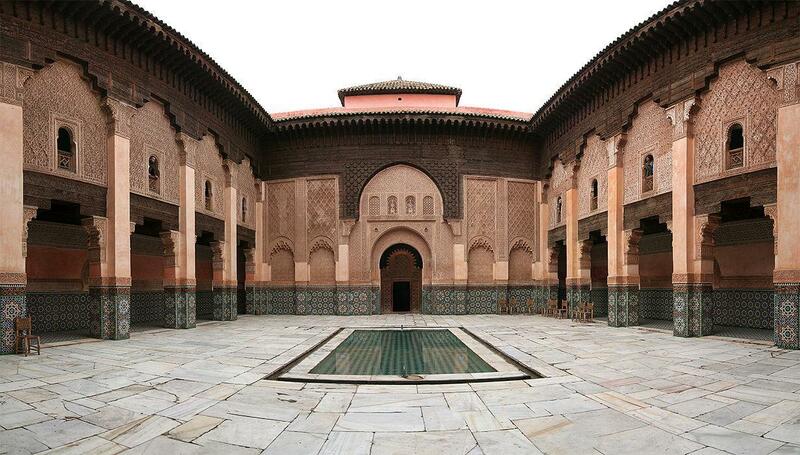 A well praised monument in the city would be Medersa Ben Youssef. 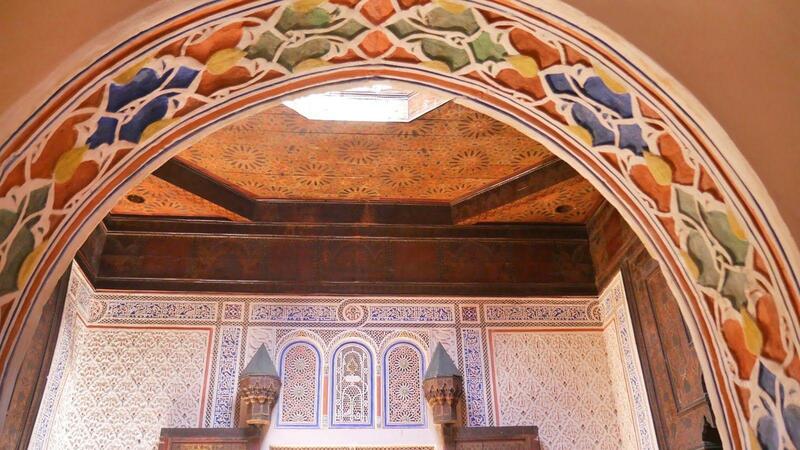 It is an ancient Koranic School that was built in the 16th Century; it holds an important history through the 132 rooms in which multiple generations have studied the Quran. It stands out with its unique architecture. The School has been freshly renovated, restoring its sheen. 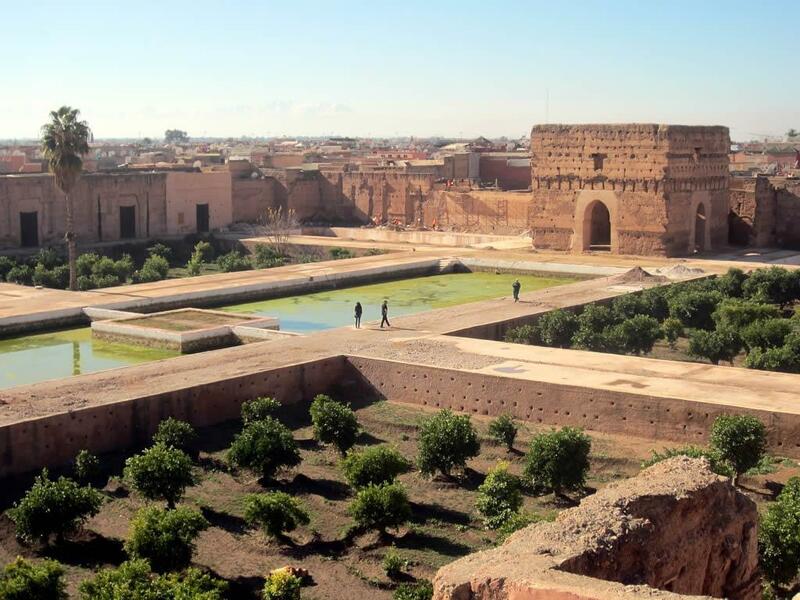 The Badii Palace is a known historical legacy dating all the way to the Saadian era. The center piece would be the garden that holds numerous Olive and Orange trees, you also can’t shake how massive the palace really is. You notice the detail in its architecture and how much they have invested in making this place a unique experience for all its visitors. 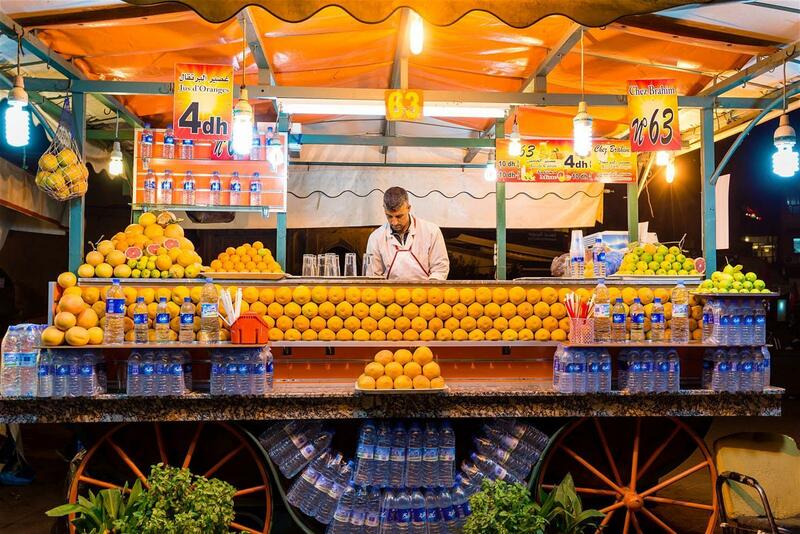 Hitting two birds with one stone by making a stop at Jemaa El Fna square, and going for the Orange Juice that the vendors conveniently, and freshly juice in front of you. As you enjoy your refreshing beverage, you are also enjoying the spectacles of the square; from its henna tattoo artists to its snake charmers or its live street art from storytelling to live music. Nested in the Medina is a house that was built between the 17th and 18th century, which has now become the known Mouassine Museum. It is a source of art, colors and architecture; a combination that reminds you of how special the history of this country really is. If you want a quick escape from the city and its noise, you can welcome yourself in the Menara Garden, a place with its own history. 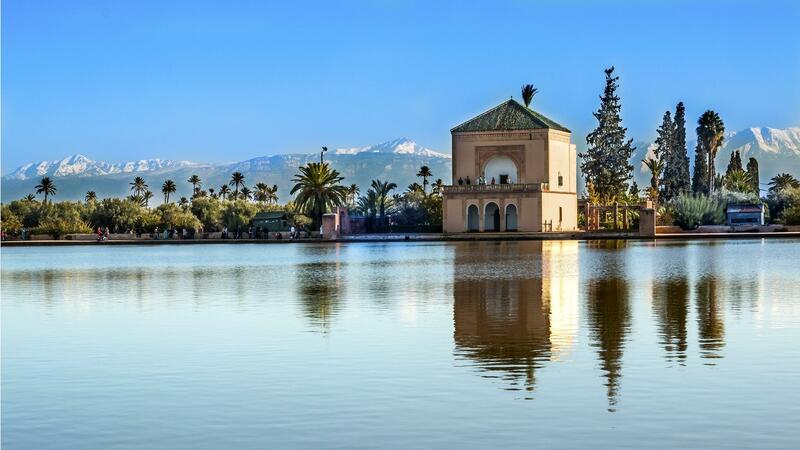 You find yourself facing stretched miles of olive trees, adding to that the huge pond with its colorful fish, as it overlays with the reflection of the pavilion, and the snowy Atlas Mountains as its backdrop it is simply stunning. Another Trademark of the Red City, and historical monument is the Koutoubia; easily recognizable from its towering minaret. This 12th century mosque is buried in the heart of the medina, only a few steps from Jemaa El Fna square. A tour of its surroundings is possible, as you get to admire the architectural work from up close, however for any entry; it is only permitted for Muslims. The mosque is both a piece of art and a spiritual anchor of the city. Visiting Jemaa El Fna at night is an excellent way to end your day. All the different lights and entertaining shows, everyone is filled with energy, a truly unique place to be in. The culinary expertise of Morocco with the Marrakchi flavor can be found at a reasonable price right in the Square. Whether you fancy a Tajine, some grilled meat, chicken or even fish, it is all available; without forgetting the boiled snails and the warming soup that comes with it. This combination makes a recipe of an unforgettable night for your pallet. Tip: Always ask for the Price & Menu beforehand. After the adventure that Marrakech provides, you surely wouldn’t want to leave the city empty handed. 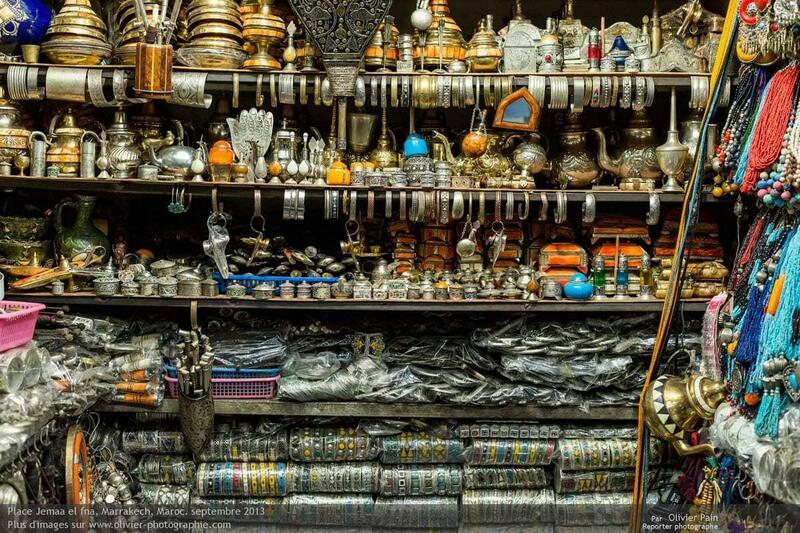 The Souks are your go-to place, the handwork and the craftsmanship passed down for generations will provide you with the right gift and perfect memento. As you walk through the alleys branching out of the Jeema El Fnaa Square, you are welcomed with the products displayed, from jewelry to lanterns, leather satchels to handmade carpets. You get to make your pick!